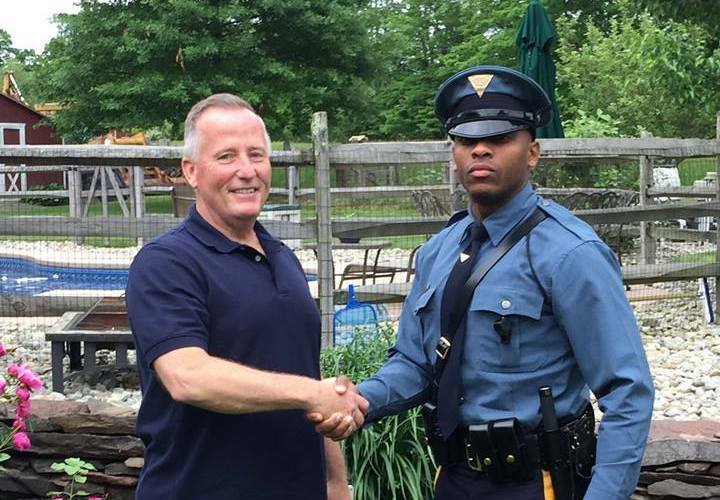 Friday, June 1 started off as an ordinary day on the job for Michael Patterson, a New Jersey state trooper. Michael was patrolling when he pulled over a vehicle for a routine traffic stop; Matthew Bailly sat behind the wheel. Making a bit of small talk, Trooper Patterson found out that Mr. Bailly was a retired Piscataway police officer — the same town where Trooper Patterson grew up. When Trooper Patterson mentioned he grew up on Poe Place, he caught Mr. Bailly’s attention. He told the state trooper than he remembered the street well; when Mr. Bailly was a rookie cop in 1991, he responded to a call on Poe Place. The call was for a woman in labor. She couldn’t make it to the hospital in time, so Mr. Bailly helped deliver the baby. He described the story to Trooper Patterson in great detail, including the baby’s name: Michael. Know Your Drivetrain: What’s the difference between all-wheel drive and four-wheel drive? After the traffic stop — from which Mr. Bailly only received a warning— Trooper Patterson and his mother visited Mr. Bailly’s home to capture the moment. The likelihood that this would happen was slim at best. But, as they say, it’s a small world, after all.